Become A Sponsor - Louisiana Pirate Festival in Lake Charles! Are you looking to help promote tourism in SWLA as well as get added publicity for your Company? The Louisiana Pirate Festival Board of Directors is extending an invitation to leaders in the community as well as surrounding areas to become sponsors of the May 3-13, 2018 Louisiana Pirate Festival. Your sponsorship in invaluable and supports the festival, a Southwest Louisiana tradition that is over 60 years in the making. 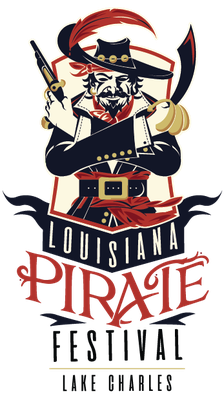 Louisiana Pirate Festival, Inc, is a 501(c)3 non-profit organization relying heavily upon the support of the community to bring many of the major events, music entertainment and attractions to Southwest Louisiana each May. This, in turn, strengthens the local economy, bringing in more visitors and helping the festival grow. Please fill out the following form, and we will contact you as soon as possible. Please download our Sponsorship Packet to learn more.